Product Condition: The ThermoCore Long-Sleeve Shirt - Men's is in Excellent condition. Previously owned and in excellent condition. Some of the stitching is loose. Button up the North Face ThermoCore Long-Sleeve Shirt on your way to an evening on the town or a quick hike after work. 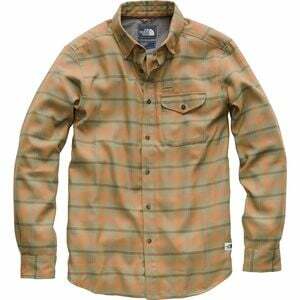 This flannel is extremely comfortable and durable thanks to the polyester and nylon fabric, allowing this article to thrive on the trail or in casual situations.